Acer debuted this week its very first 64 bit smartphone, a refreshed version of the Acer Liquid Jade S. The newcomer is priced at $222 and it’s expected to go on sale in Taiwan around December 18th. 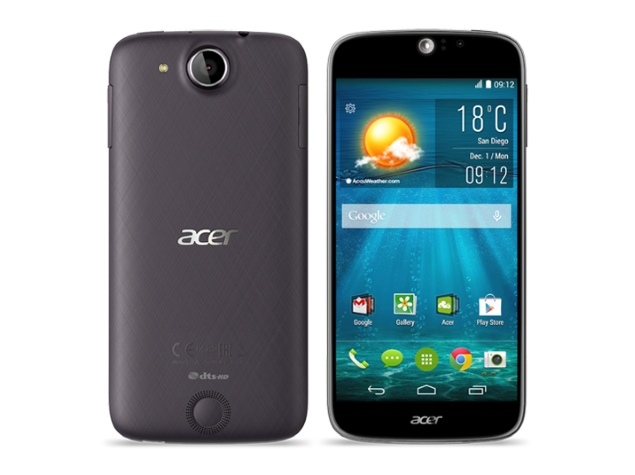 The phone is still called Acer Liquid Jade S and it’s also expected to come to India soon. This one is a dual SIM unit with Android 4.4.4 as the OS and packing a 5 inch HD display. It also offers 4G LTE and its screen is an IPS with Zero Air Gap technology and Gorilla Glass 3 protection. The 64 bit processor inside is an octa core MediaTek MT6752M, clocked at 1.5 GHz, while the original Liquid Jade came with a quad core 1.34 GHz MediaTek MT6582. Other specs include 2 GB of RAM, a Mali T760 GPU and 16 GB of storage, as well as a microSD card slot. Liquid Jade S integrates a 13 megapixel back shooter, a 5 MP front cam, 4G LTE, WiFi, Bluetooth, GPS and a 2300 mAh battery. All of that fits within a 7.78 mm thick case and it all weighs 116 grams.